In this post we will learn about presentation skills. How to give presentation on project or deliver a good project presentations. It can give nightmare for one or many. No matter how good and important your message is if it's not delivered in an effective manner chances are that it wouldn't be hard at all. We are going to look into three aspects for effective presentation. First Content Mapping: Here will will try and focus on the purpose of your presentation, Second Content Design: Here we will try to understand how effectively can we design a presentation and Last Content Delivery: Here we will try and understand the delivery style along with format of the presentation. 1. Content Mapping: The first and significant thing that one should understand is the purpose of your presentation, What do you want to inform the audience through presentation. Fist, List down information one by one, prepare a well informed alternative image and more facts. Second, include informative facts that the audience doesn't know, here give them summaries, research and statistics. Finally putting the facts in context where the audience will understand your main points, you can do this by giving opinion on the facts that you have spoken about while building a logical conclusions. Present your conclusion showing how other conclusions made less sense. Within presentation focus on the motivational elements, talk about the success factors, guidance points and play with negative points also. The important part for content mapping in any presentation is to analyze and understand your audience.You have to analyze audience and the level of knowledge the audience already possess along with their expectations. 2. Content Design: It is important that the presentation must be straightforward and logical, complex presentations often confuse the audience. It is important to present main points in a logical fashion and finally end them with a purposeful conclusion. With introduction of the presentation explain the content and purpose of the presentation. It is important because because you have to gain the audience's interest and attention. You must aim to introduce your topics but make sure that the audience have settled down before you start to speak this will also help you to communicate energy and enthusiasm in presentation. Structure your content clear and jump into the main points of your presentation. The main points are backbone for your presentation which needs to be told effectively. The main points help you to prioritize focus and sequence your complete presentation. Few tips to structure your content, make in a chronological order where you're speaking about a particular event in detail step-by-step another thing that you can do is speaking about the facts of the particular topic. After you have identified the main points you have to embellish them with supporting information. The next part we move on is transitions.Transitions are like the sign post, this will help the audience to understand the whole process of your presentation. Transitions can also be nonverbal you can show transition by changing the slide or by putting a pause. Let's look into the final element of the content design which is conclusion. Conclusion is summerisation of presentation and overview of the complete presentation. It must make a lasting impact on the audience. 3. Content Delivery - No one can remember more points, hence make sure that you list out the three major points of your presentation. These three major points are the three parts of your presentation. Also use three points very possible in your presentation to deliver the content effectively. Be clear, pronounce each and every word in the correct manner.Thirty-eight percent of your message comes from your tone so torn up for excitement and toned down for suspense. In the act of speaking clearly and concisely mumbling slurring is a strict no no when it comes to presentation. Remember for repetition of keywords and speed. Make your presentation an interactive one for audience and keep and have a good body language while presenting. It was all about the content mapping, design and delivery of a presentation. 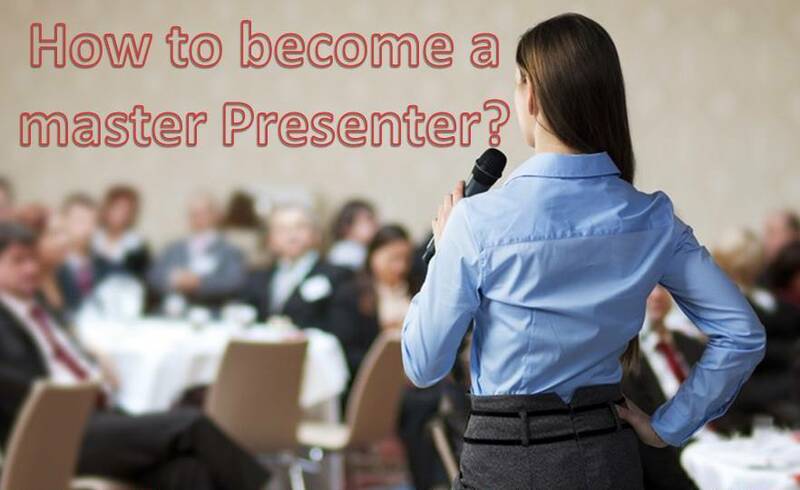 Hope you will understand the essentials of presentation skills. I hope these inputs will help you to give better presentations next time, thank you and all the best.! !